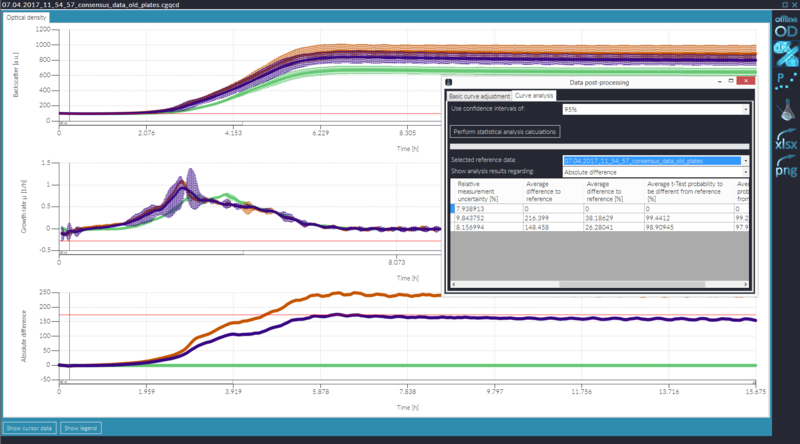 With the release of CGQuant 7.3, you are provided with new data processing, comparison and export features. Merge replicate data into consensus data sets with automated curve alignment and statistical evaluation. Visualize confidence intervals and display the significance of observed data set differences. Finally export your data to .xlsx-files, to .png images or just create your own customized .pdf-report. Minor new features and bug-fixes as well as an updates CGQ user guide complete the release of CGQuant 7.3.